See specifications below illustration . To MG page. 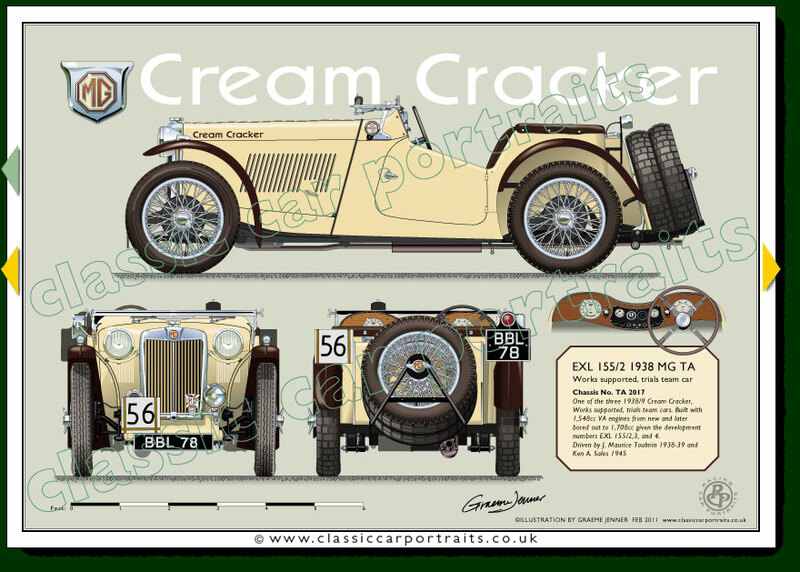 One of the three 1938/9 Cream Cracker, Works supported, trials team cars. Built with 1,548cc VA engines from new and later bored out to 1,708cc given the development numbers EXL 155/2,3, and 4.